Location, location, location: it's vital in property sales (and late-night comedy monologues). And if you play your cards right, location-based social media services can help you spread awareness of your business and drive customers to your door. The check-in feature at Facebook exemplifies location-based social media use at its simplest. When you check in on Facebook, you're just telling your Facebook Friends "Here I am!" Google+ and Yelp up the ante by encouraging users to leave reviews. 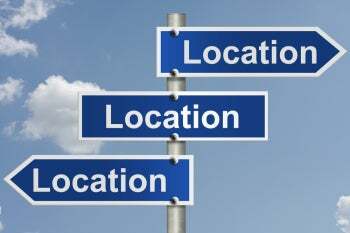 Other social networks are completely built around location-based services. They turn the process of checking in at various locations into a real-world game, complete with points, achievement badges, leaderboards, and the ability to win rewards and discounts at participating locations. 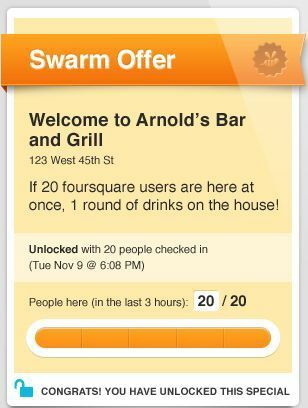 Foursquare's Swarm specials work best when big events are occurring nearby. The biggest practitioner of gamified check-ins is Foursquare, but it has plenty of company. Scvngr, for example, puts a twist on the concept by asking users not only to visit specific places, but also to complete specific challenges. When someone completes a task or checks into a location-based social network, the social network pushes that achievement to the person's friends and to anyone nearby. Gamified networks typically give users the option to post updates to Facebook as well, further extending the reach of the notification. Creating a location-based marketing campaign on a social network can cost next to nothing. You don't have to spend big bucks engaging a high-priced ad agency to develop a sophisticated advertising campaign. Setting up a check-in location or reward criteria on Foursquare or Scvngr is free, aside from the time and effort involved in getting it done. Once you've set up a location-based social offer, you don't need to do much to maintain it; the point is to have your customers spread the word and do the work for you. Groups of people can check in on Facebook, but providing an incentive for them to do so is up to you. Unfortunately, if your customers don't do the work for you, your location-based advertising campaign will fall flat on its face. Most businesses entice players into checking in by offering discounts or freebies (typically either buy one, get one free or buy one, get the second at a reduced price). This type of offer obviously takes money out of your pocket, but the increased sales volume might produce enough in profit to justify the expense. But concrete numbers proving the effectiveness of actual location-based social network activities are hard to come by. For whatever reason, few businesses are willing to reveal how much business Foursquare and Facebook check-ins are driving to their door. The cost-to-benefit metrics aren't cut-and-dried, either. Paul Ross, a vice president at analytics software provider Alteryx, told ReadWriteWeb that most businesses see only a 1 percent to 2 percent increase in sales for every 1000 Foursquare check-ins—but anecdotal evidence tells a different tale. HubSpot writes about a burger restaurant owner who used Foursquare specials to entice 161 users to his restaurant at once during a recent SXSW conference, and the owner of the Strange Brew Coffee House told the New York Times that his year-over-year business grew by 34 percent after investing in location-based social media marketing, at no additional cost aside from the 10 percent single-drink discount that owner Shane Reed offers to customers who check in.